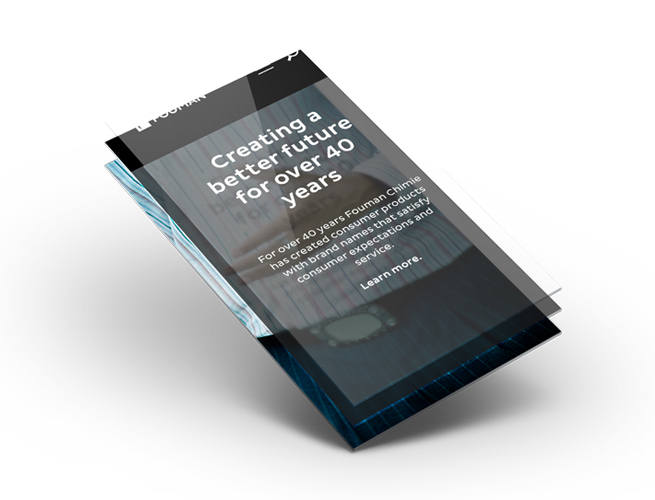 We poured over 8 weeks of hard work to give Fouman Chimie's digital image and presence a facelift. 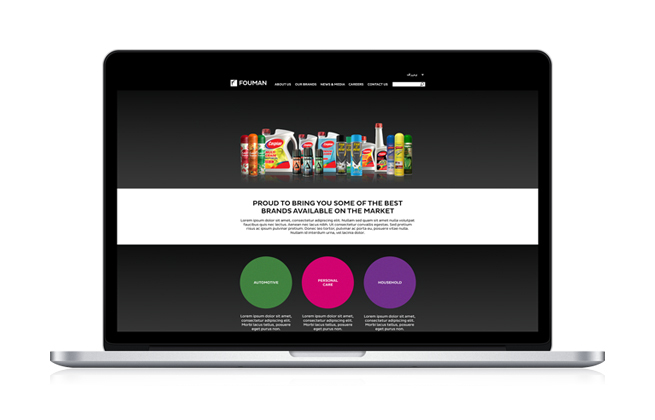 The newly designed site leverages the value of the corporate brand and repositions its consumer brands in response to competition from newly established multinationals. 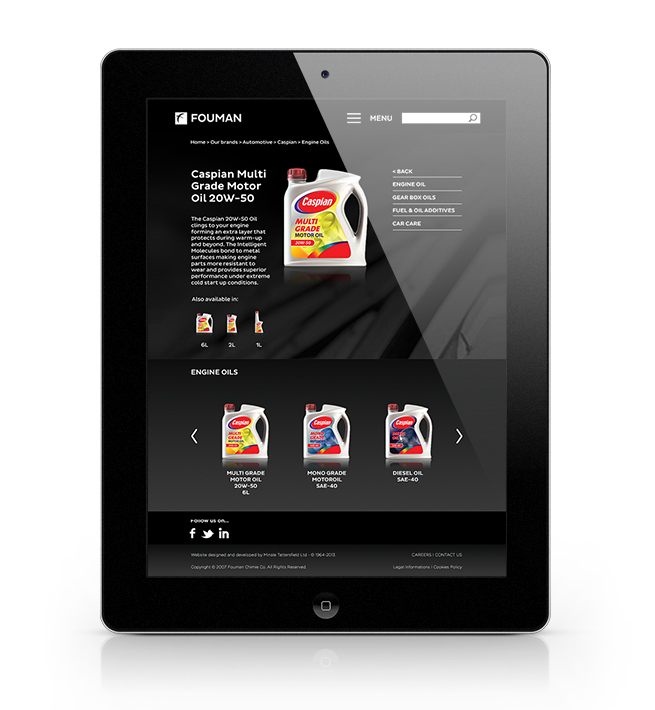 A clean and minimalistic landing page allows you to quickly navigate through Fouman Chimie’s product portfolio. 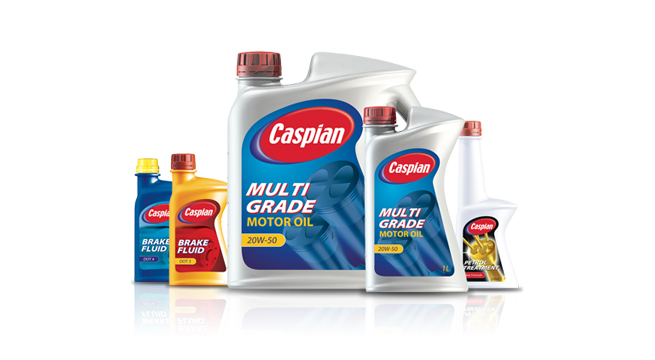 Products can be viewed and reached through a product category (automotive, personal care and household) or featured brand. 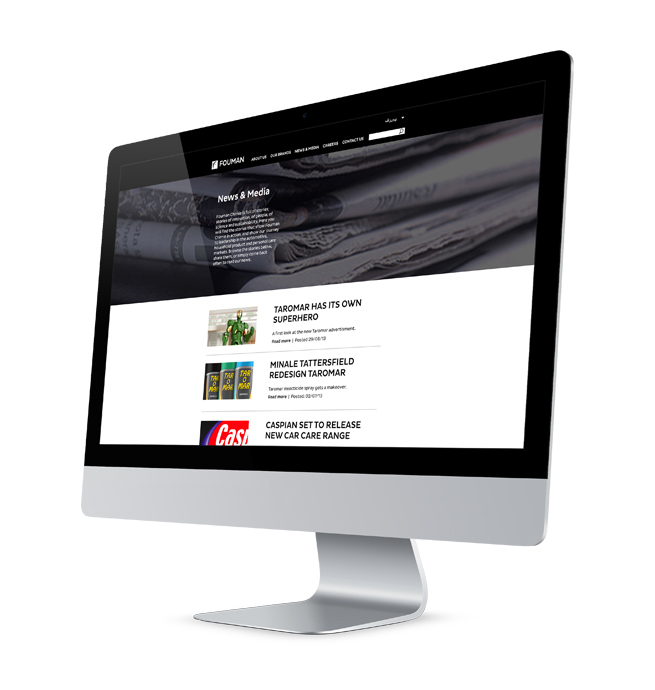 A ‘featured brand’ brings a specially selected brand and product into the spotlight directly on the landing page. 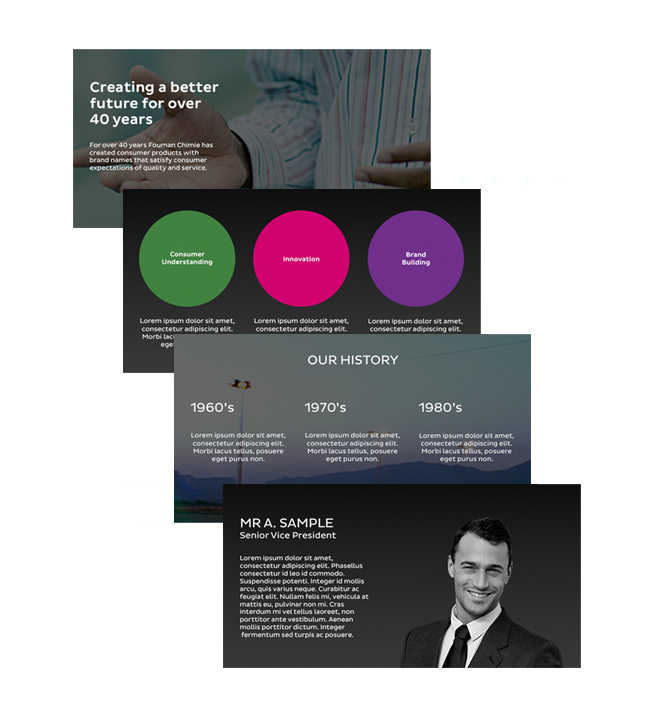 Accessible through the landing page and main header menu, this page lets you explore the world of Fouman Chimie and its rich history. 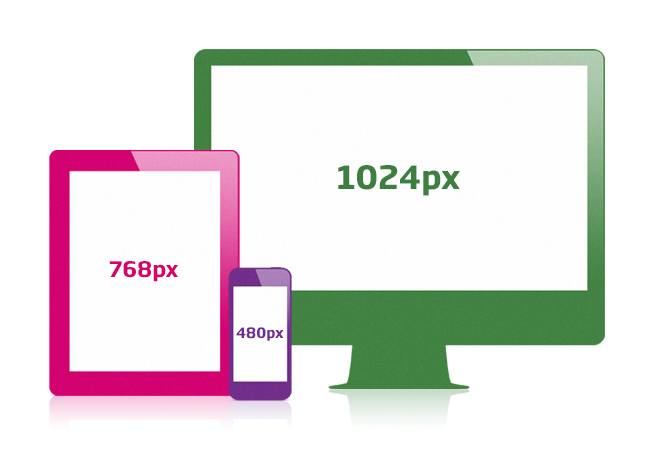 Navigation and viewing of content is made easy by the use of slideshows. Simply click or slide to reveal more content. 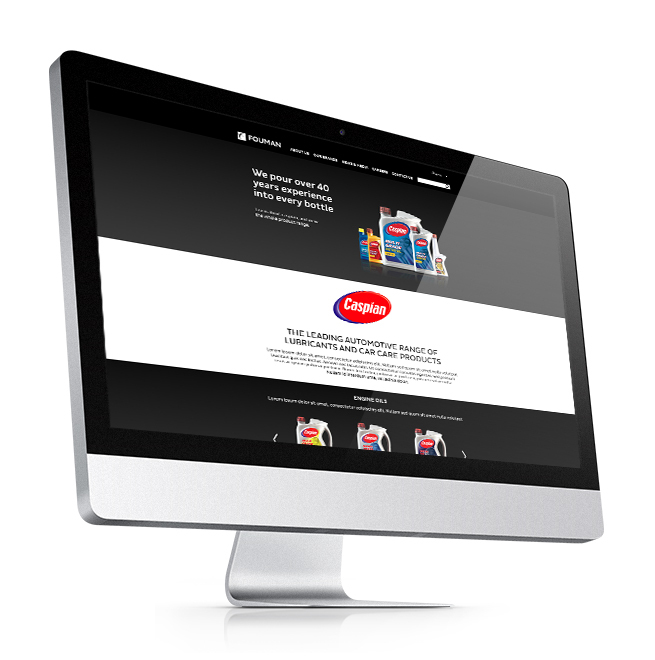 The our brand page lets you view all of the brands and products Fouman Chimie have to offer. 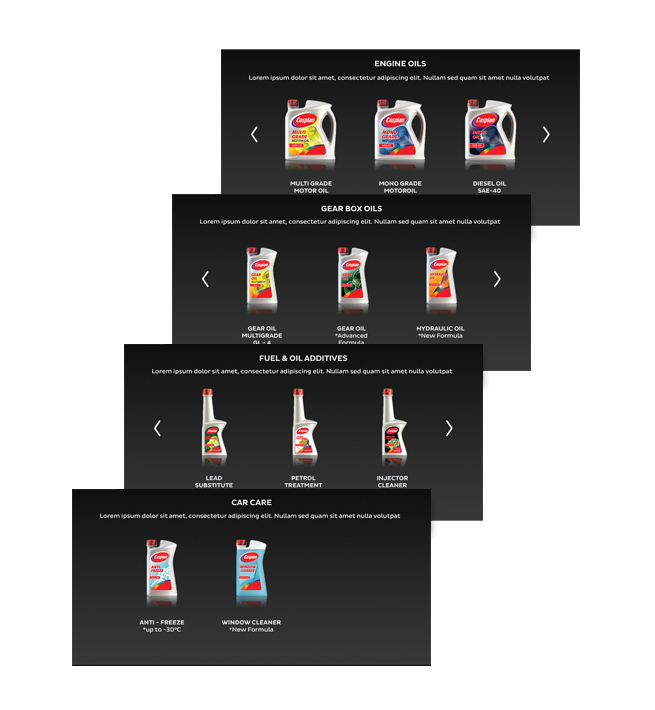 These are categorised through Autmotive, Personal Care and Household. 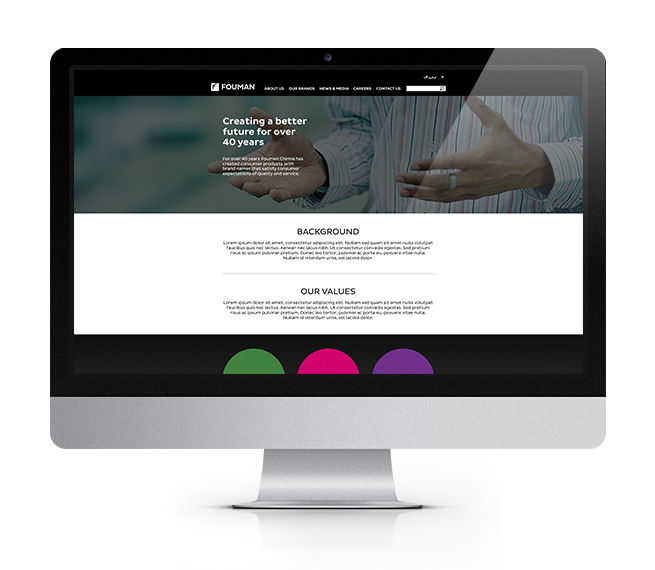 The use of bold, colourful graphics effortlessly help guide you through the Fouman Chimie website. Clearly labelling other sections of the website waiting to be explored. The news & media page is where you will find stories that show Fouman Chimie in action. Here you are able to browse stories and share them. The contact us page is your gateway to contacting Fouman Chimie. 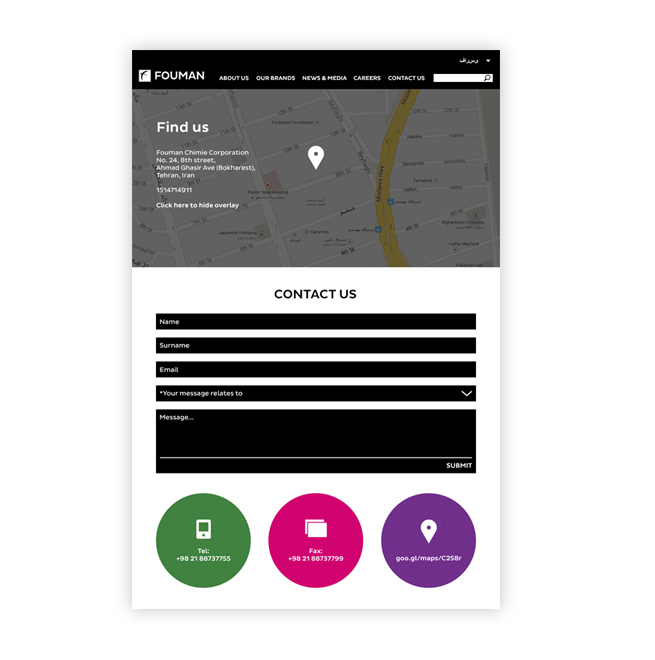 The user friendly contact form allows you to contact Fouman Chimie without having to leave the website. The brand showcase page allows you to view all of the available products under the chosen brand being viewed. 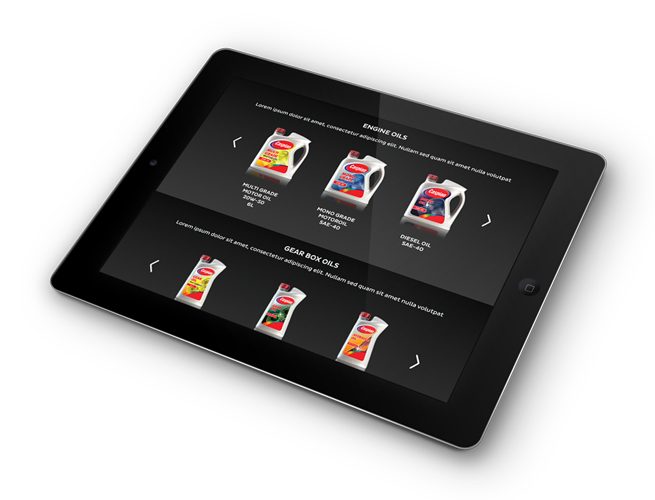 Products are then categorised, making it easier for the user to find the relevant product they are looking for. 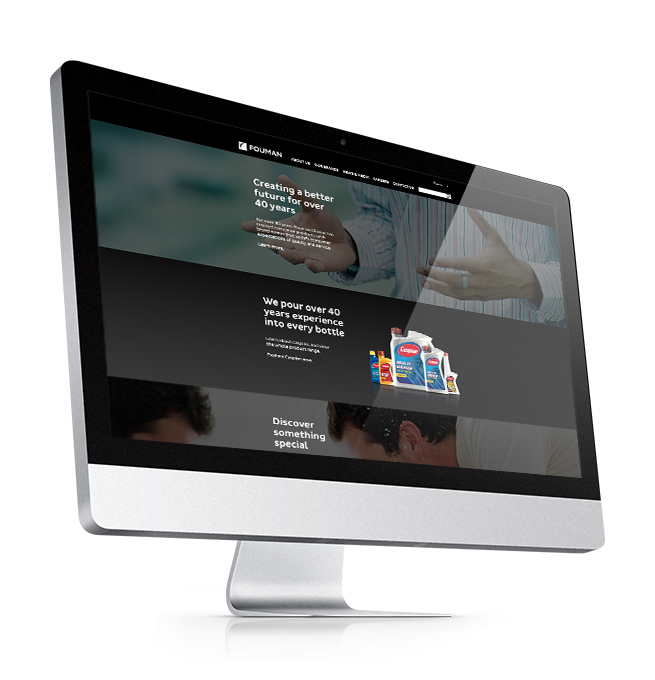 The new Fouman Chimie website is responsive, providing users with an optimal viewing experience. 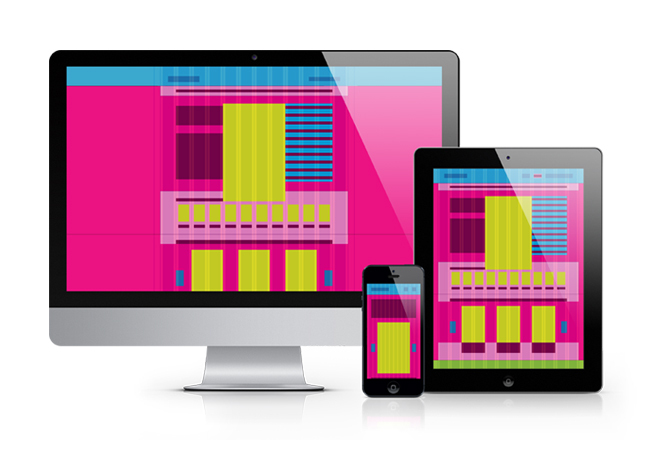 The site adapts the layout to the viewing environment by using fluid, proportion-based grids. Distinct and functional layers help create depth and establish hierachy and order. The use of translucency provides a sense of context and place.